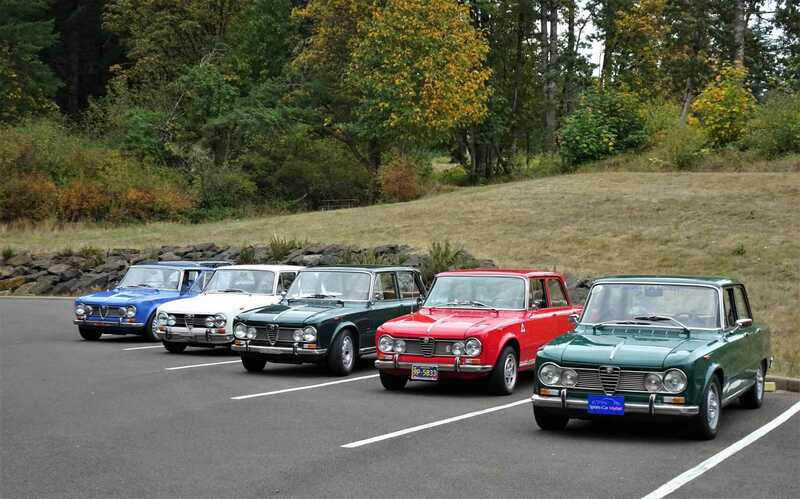 Welcome to the website of the Alfa Romeo Owners of Oregon, a club dedicated to enthusiasm for Alfa Romeo automobiles and focused on conducting a wide variety of fun activities for our members. On this website you will find details of the club, how to contact us and how to join. You’ll also find our activities schedule and our downloadable monthly newsletter, the Alfa Bits. We welcome all Alfa Romeo enthusiasts – members or not – to our activities and monthly meetings. The monthly meetings are held on the third Wednesday of the month (except June, July, August and December) at 7:00 p.m. at the Old Spaghetti Factory, 0715 SW Bancroft St, Portland, OR 97239, (503) 222-5375. Please join us there! This website was last updated on 11 April 2019, and is maintained by Doug Zaitz. Since 09 November 2017, you are visitor number .